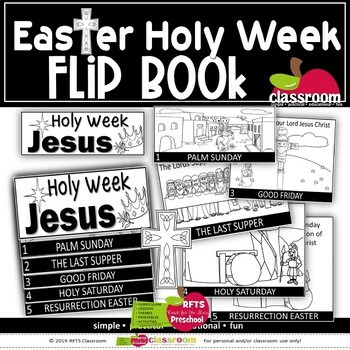 This flip-book is the Easter Story highlighting Holy Week. And he took bread, and gave thanks, broke it, and gave unto them, saying, this is my body which is given for you: do this in memory of me. Likewise, also the cup after supper, saying, This cup is the new testament in my blood, which is shed for you: do this in memory of me. 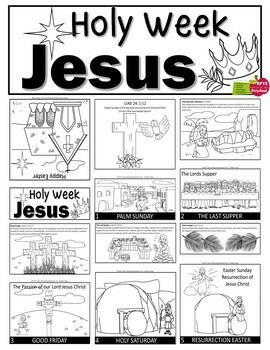 Easter Sunday is this day that we proclaim to the world that Christ is the resurrected Savior! 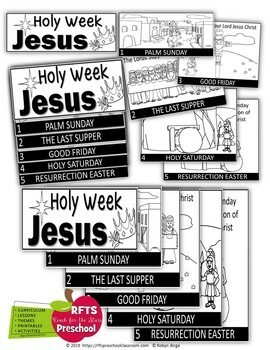 I hope you enjoy this Easter flipbook as much as I enjoyed creating it. Terms: For classroom or personal use only! 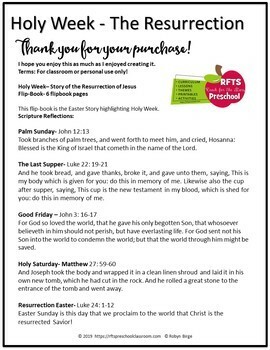 Keywords: easter, holy week, flipbook, resurrection of jesus, palm sunday, john 12:13, the last supper, luke 22: 19-21, good friday, john 3: 16-17, holy saturday, matthew 27: 59-60, resurrection, easter, luke 24: 1-1,2, easter, scripture reflections, childcare, rfts preschool, rfts, rfts preschool, rfts prekindergarten, robyn birge, reach for the stars.